For Witney Carson, it’s all about a cozy, rustic and romantic feel for her upcoming winter wedding. Carson’s fiance and love of four years, Carson Mcallister, proposed in October with the cutest seaside engagement. Now the couple is wasting no time getting started on planning their January 2016 nuptials. Carson, a professional dancer and winner of Dancing With the Stars season 19, met Mcallister in their hometown, American Forks, Utah, and they both knew the mountains in mid-winter would be the perfect snowy setting. And if we learned anything from their dreamy winter wonderland engagement shoot, their wedding is going to be just magical. We have the exclusive scoop from Carson on her wedding details as the planning unfolds. We’re expecting big things for the couple’s first dance, of course, plus a solid turnout from the DWTS cast! Carson achieved a similar look with her winter engagement photos. India Earl of India Earl Photographer shared the stunning snowy photos with The Knot on December 2. Even though Carson hasn’t had much time to plan her wedding, she’s been enjoying the process. Follow us on Instagram @theknotnews for more viral wedding photos. 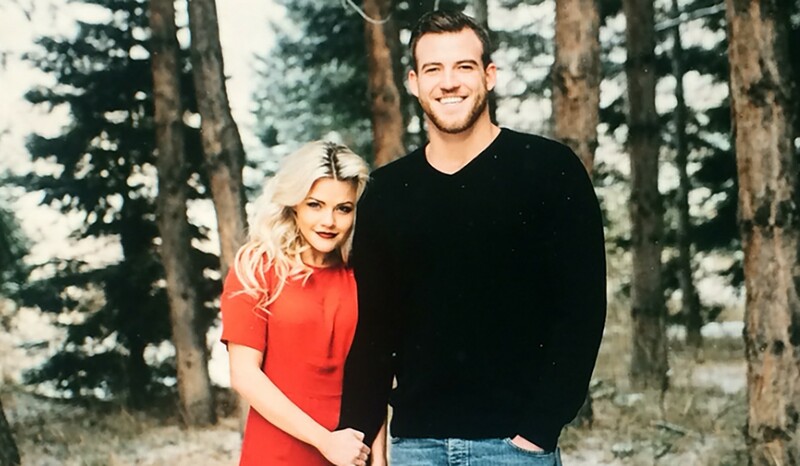 Be the first to comment on "Witney Carson’s Planning “Rustic, Woodsy” Winter Wedding in January"